Though it has long been out-shined and outspent by Mother’s Day, Father’s Day is becoming a more and more important holiday for retailers big and small. Shoppers are expected to spend an average of $113.80 on gifts for dad, this year, making for a grand total of $12.5 billion, according to the National Retail Federation. As June 15 fast approaches, this Father’s Day shopping cycle is shaping up to be a big opportunity for small businesses. To draw these shoppers away from the department stores and big boxes, local retailers will need an online and mobile presence, a strategic marketing plan and a little help from this list. Last year, nearly 30 percent of shoppers planned to make their Father’s Day purchases online, indicating a growing trend toward online sales for the holiday. To prepare your business for the growing number of online shoppers, make sure that your store’s website is easy to find and easy to navigate. While you’re at it, make sure that your website is smartphone- and tablet-friendly, too. According to the National Retail Federation, more than half of tablet owners and 40 percent of smartphone owners planned to use their tablet or smartphone to research Father’s Day gifts. For tips on how to improve your online presence and make your website mobile-friendly, check out these guest blog posts from Ella Davidson and Duct Tape Marketing. Remind your loyal customers and members of your community about your most giftable Father’s Day products by posting about them on social media. 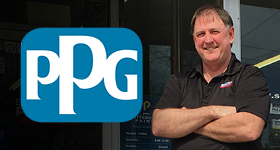 Post a picture and a description of your Dad-approved product on Facebook or Twitter to give indecisive customers an idea for a good gift and a place where to get it. You can use themed hashtags like #FathersDay to make your posts even more visible during the weeks leading up to the holiday. Dads are known for being easy to please when it comes to gifts, but plenty of shoppers will still have no idea what to buy. For the picky dads and the indecisive daughters, be sure to remind your customers of gift cards and gift certificates. Gift cards are safe, easy gifts for any dad, especially at the last minute, and they’re a great way to turn a shopper who’s “just looking” into a guaranteed repeat customer. Big box stores and national chains are experts at turning every holiday into a new shopping season with themed sales and deals. Throw your hat into the ring by launching a Father’s Day sale of your own. Offer exclusive gift packages of Dad’s favorite items at value prices or throw in a free Dad-friendly gift when customers purchase certain items. And if you are having a sale, be sure to let customers know about it on social media! Independent We Stand offers free Father’s Day posters to all of its members. These posters encourage consumers to shop local for Father’s Day and promote your store as the place to do so. 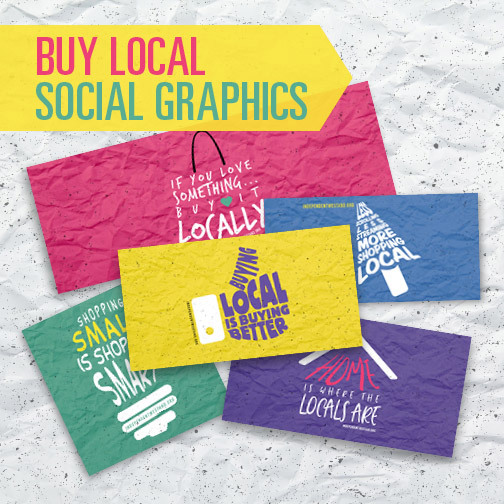 Share the posters on social media and display them in your store to attract local-minded customers for free! Independent We Stand members can access these materials by logging into the Resource Center online here. Not a member yet? Sign your business up, for free, here. More and more customers are looking for reasons and ways to buy local. With Father’s Day spending on the rise and support for local businesses growing every day, now is the perfect time for consumers to experience your local business. Reach out to them using these tips and resources from Independent We Stand, and this could be everyone’s best Father’s Day yet. Read more about Father's Day, small business advice.